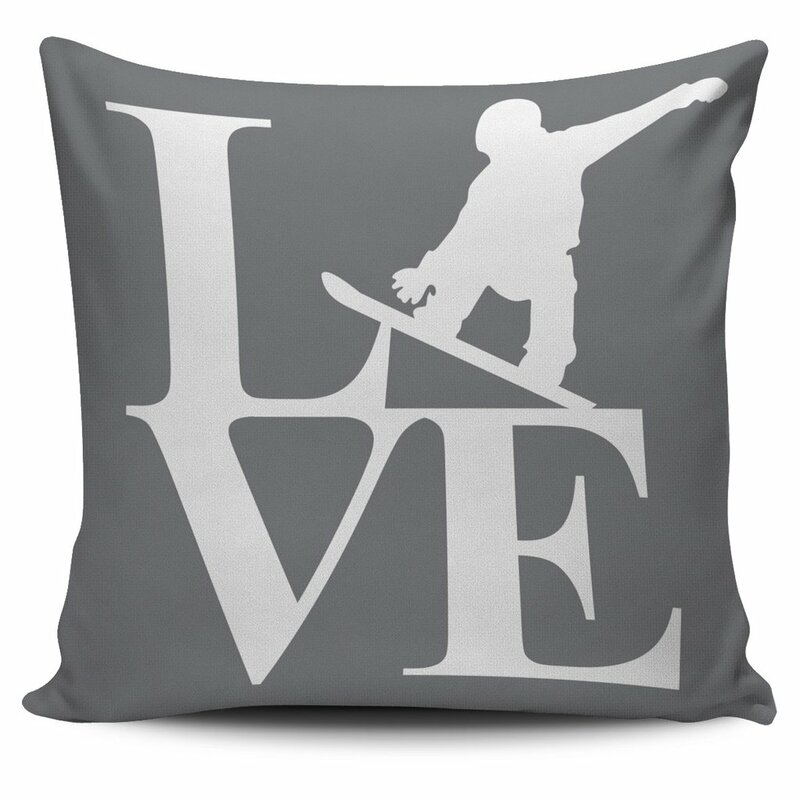 Ski Cabin Decor Items - make your ski cabin, condo or chalet look great! Finding the best ski cabin decor is such an important part of making your family, friends and guests feel relaxed and on vacation whether you own a rustic ski cabin, fishing or hunting cabin in the woods, family-friendly ski condo, luxurious slope-side ski chalet or other vacation rental property. And whether you are looking for a high-end, spectacular piece of furniture to set or complete your mood and theme, a few reasonably priced yet durable ski cabin décor items, or quality bed linens, towels, pillows, and similar items to customize the look and feel in each room of your ski cabin, it can be very difficult and time consuming to find what you are looking for . 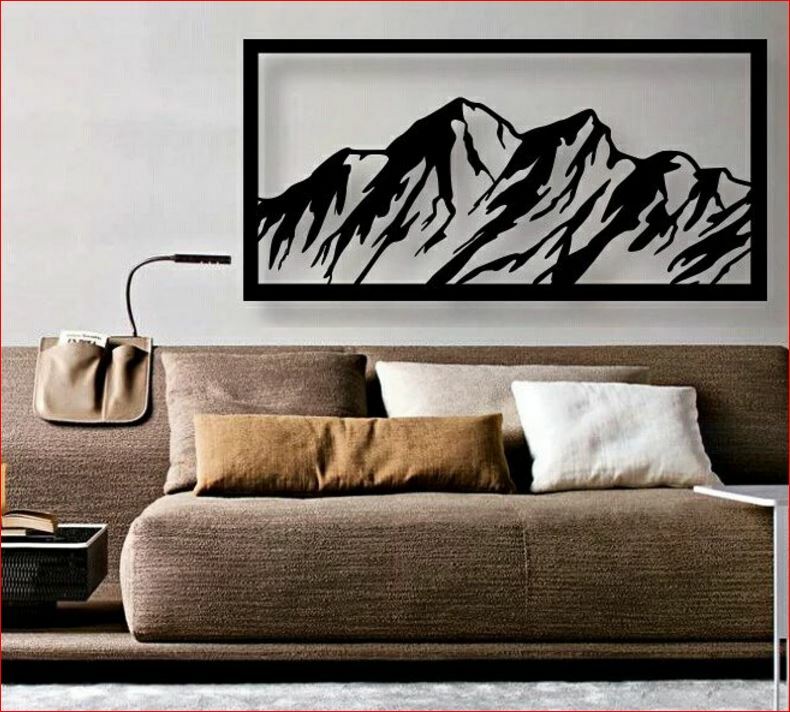 To help simplify the vacation property decorating process for you, we have combined our Interior Design Certification and Movie Set Design skills with our internet search skills, to bring you an ever-growing collection of quality, themed decorating items from reputable providers and artists both locally and throughout North America. These quality items are available for purchase direct from the supplier or manufacturer, and for shipping to you in Sun Peaks or anywhere else world-wide. Choose the design from many different varieties for your vintage cabin signs and then personalize with the name of your family cabin, ski cabin, lake or country lodge or lake, country area or ski resort name. 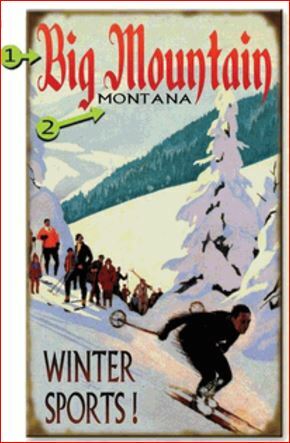 Winter sports, summer sports, cabin rules, ski run signs - there are so many rustic and affordable options to choose from. Click any of the images below to be taken to the rustic cabin supplier's website to see hundreds of beautiful and cool signs and other decor items. Or have your own custom carved wood or custom cut metal ski cabin or business name created by a talented artist for your beautiful property. Check out the links on the bottom for talented artists who can create custom signs or decor for you. A simple ski cabin pillow or rustic cabin pillow or cushion cover can quickly and easily add a splash of color as well as enhance the theme of your cabin. 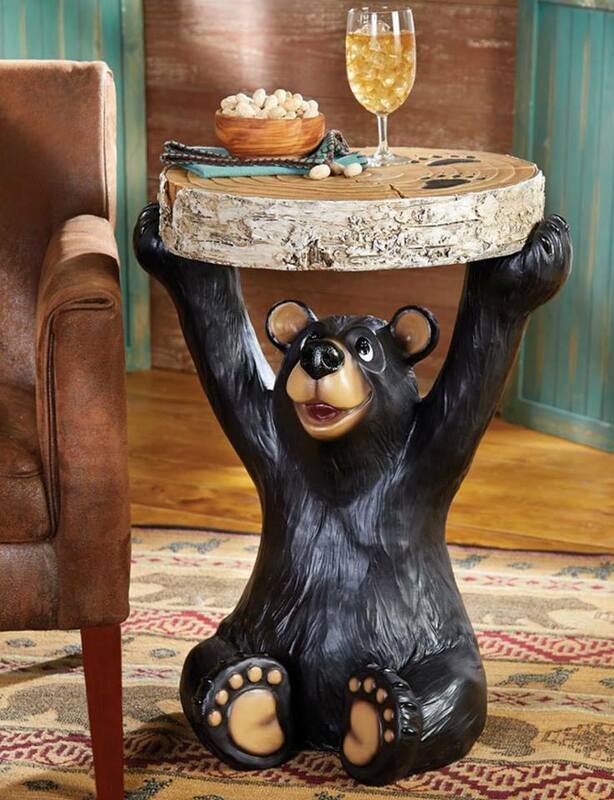 From skis, snowboards and snowflakes to bears, moose, deer, fish, cabin rules and more, there are hundreds of pillows and covers to choose from, as well as rustic cabin bedding and furniture to make your retreat even more special. 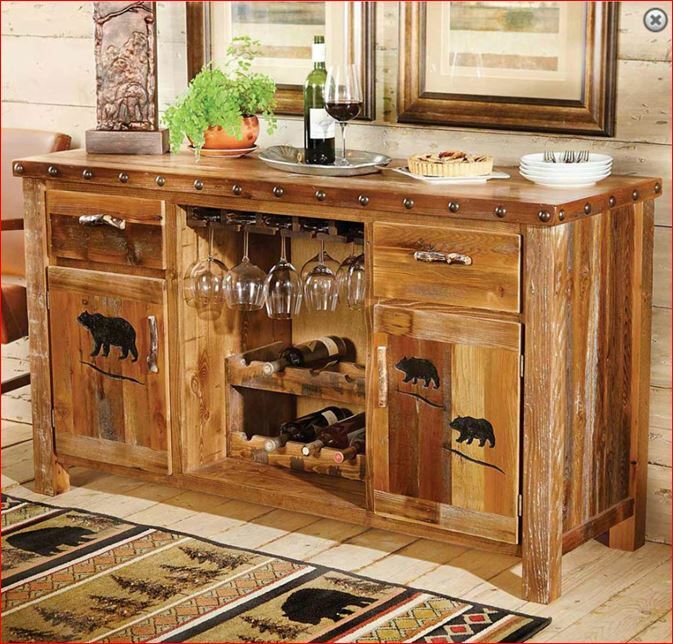 Rustic decor accents, lighting, furniture, linens, bedding and more - thousands of themed items to choose from. Or create your own custom metal signs and decor or custom wood ski signs, cabin signs, home signs or business signs. Beautiful, heavy-duty custom themed metal decor is something every ski cabin, ski condo, summer cabin, chalet, business or even your home should have, for the interior, exterior or both. These talented designers, engineers, artists and Red Seal certified welders and metal manufacturers can custom design and build almost anything - from custom metal business card holders, custom signage, and rustic decor items, to custom themed stair railings and fire pits or fire domes. View some custom metal sign examples of how they can help make your property look spectacular, and get your ideas custom cut from steel. 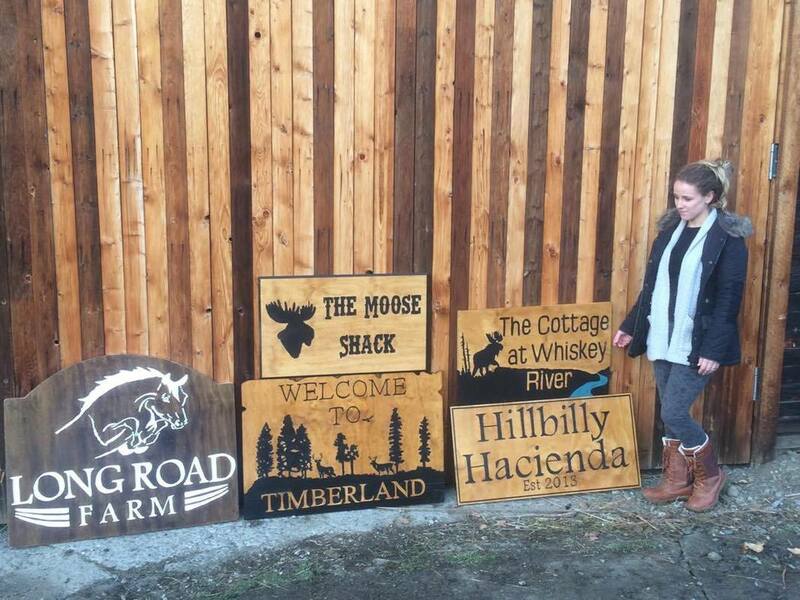 Custom wood signs created by local Sun Peaks artist Christie are a perfect way to promote your home, vacation rental property, B&B, or business to friends, guests, and potential customers. Part talented artist and part skilled woodworker, Christie can work with your ideas and custom designs and logos to create beautiful, durable, long-lasting wooden interior or exterior signage, wooden boxes, wood memorial plaques and urns, shelves, and virtually any other decor item created from wood. Click to see some examples of her wonderful custom wood signs. 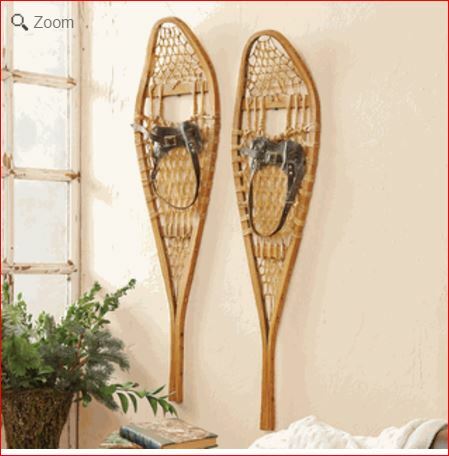 Our rustic ski cabin decor section features beautiful, quality interior items to make your ski cabin look spectacular. Hundreds of rustic ski, snowshoe, snowflake, mountain, bear, moose, deer and other themed items are available for you to choose from. Includes lights, furnishings, bedding, wall decor, signage, kitchen decor, bathroom decor, and more. Click any of the images to see a larger selection. We will be adding constantly so don't forget to keep checking back. Summer cabin - winter cabin - fishing cabin - hunting cabin - family lake cabin - we have you covered!